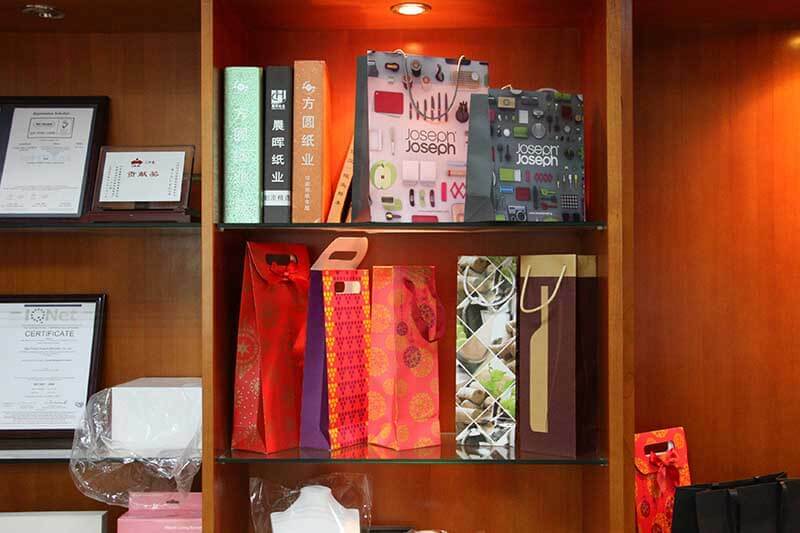 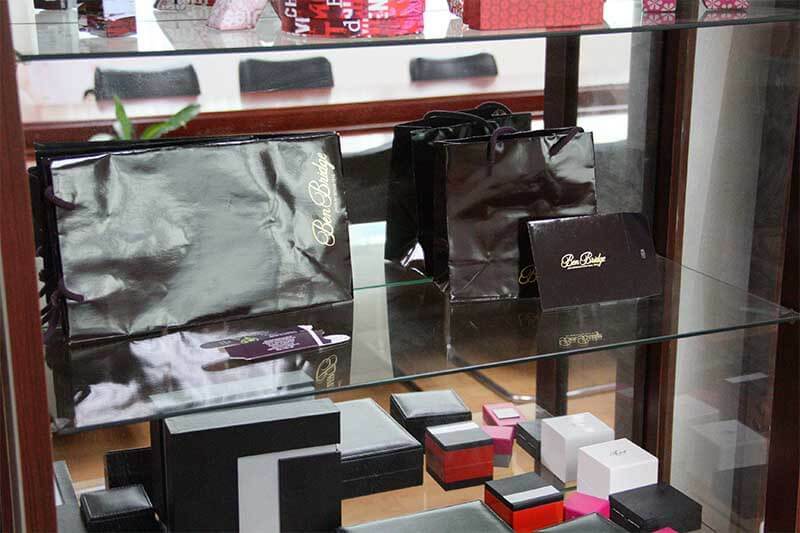 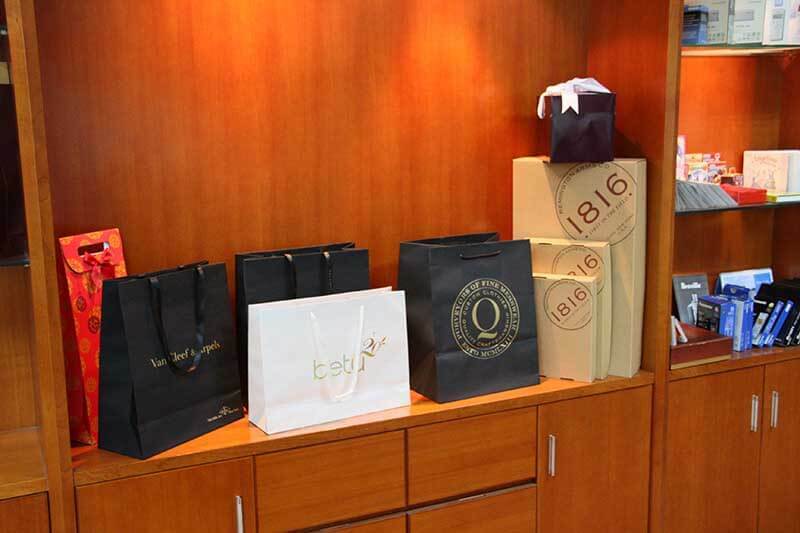 Our Factory - Paper printing and packaging supplier in China.15 years experience in printing and packaging.Jewelry Bag, Jewelry Box, Shopping bag, Paper Bag, Gift box, Stationary, Sticker, and printing service. A manufacturer with STABLE QUALITY? 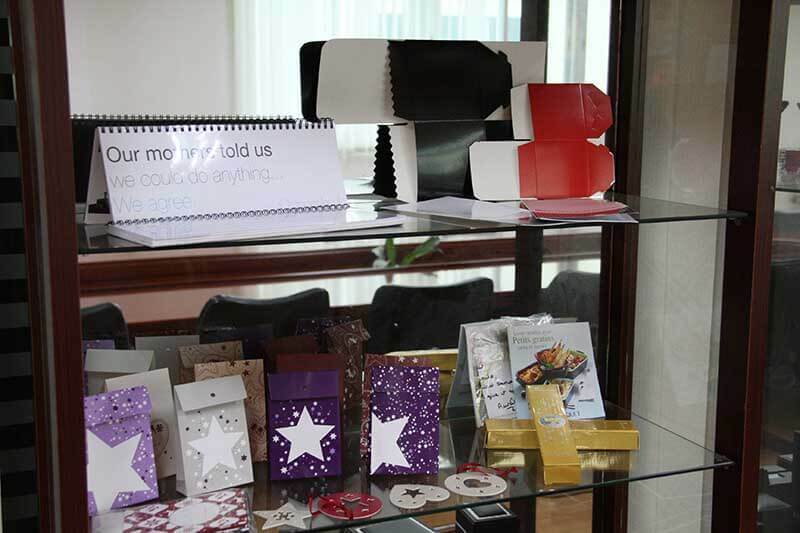 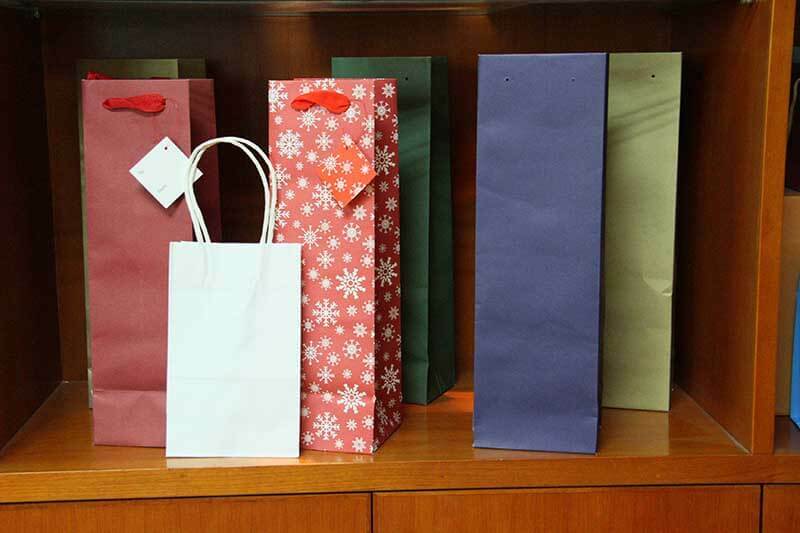 A manufacturer who is a ONE STOP SHOP for printing and packaging? 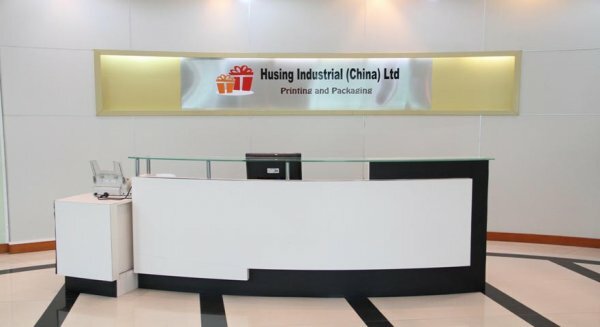 If the answer is YES, give HUSING a chance to prove we are your best choice!. 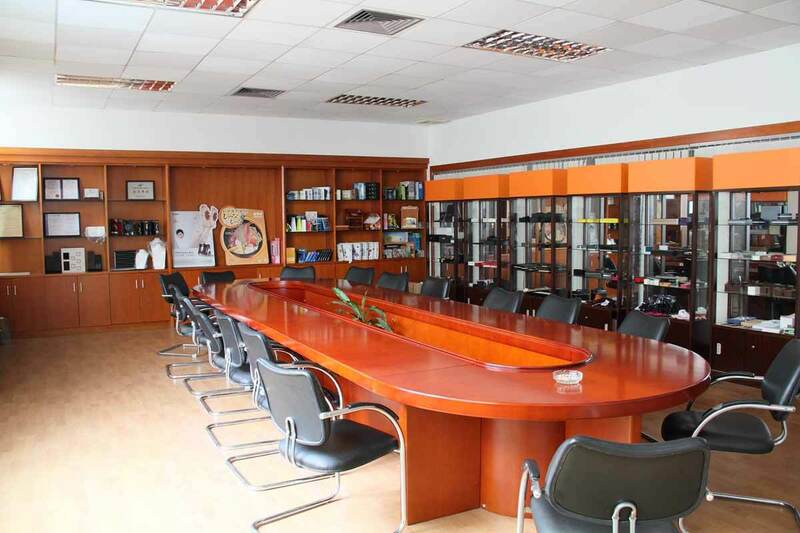 We don’t want to use too much words to introduce Husing history, capacity, staff..etc. 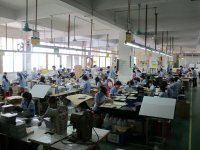 Probably most customers are not interested in factory history, customers are more concerned about “quality, price, and service”. 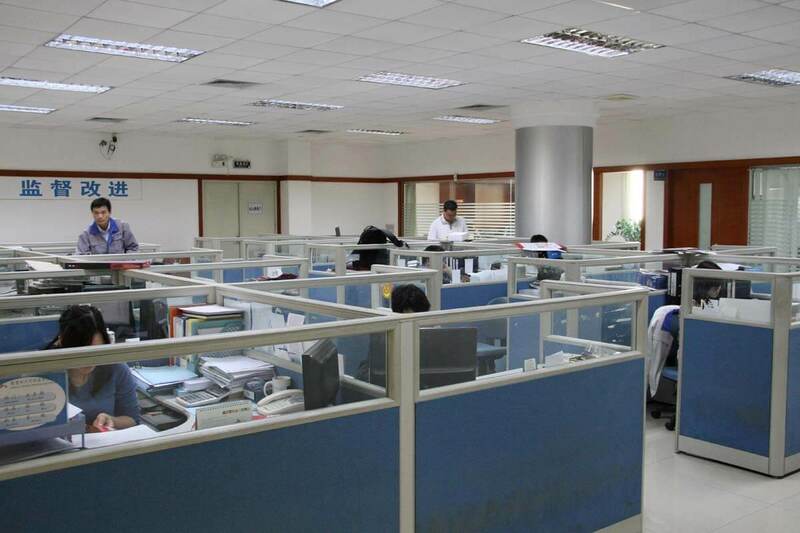 Husing departments are built based on the different printing processes in order to avoid any problems during production. We are committed to the improvement of production efficiency and the reduction of loss. Husing has five departments, which includes prepress design, printing, post-press, quality inspection, and customer service. 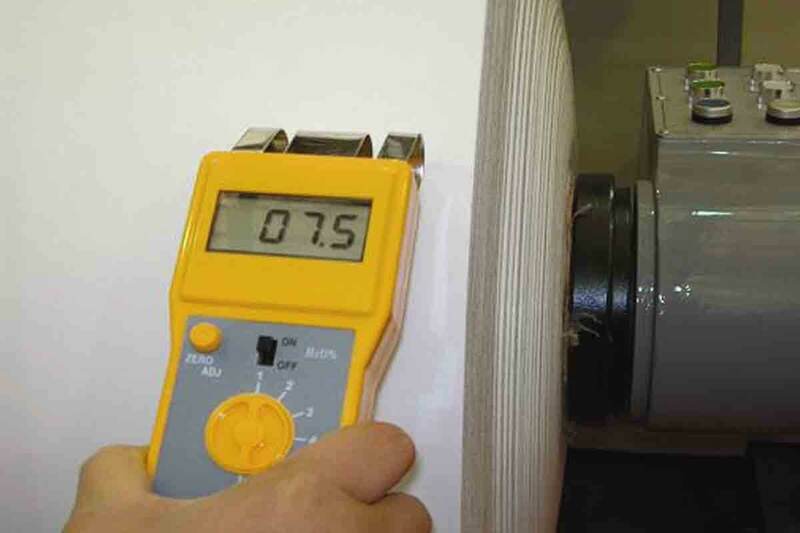 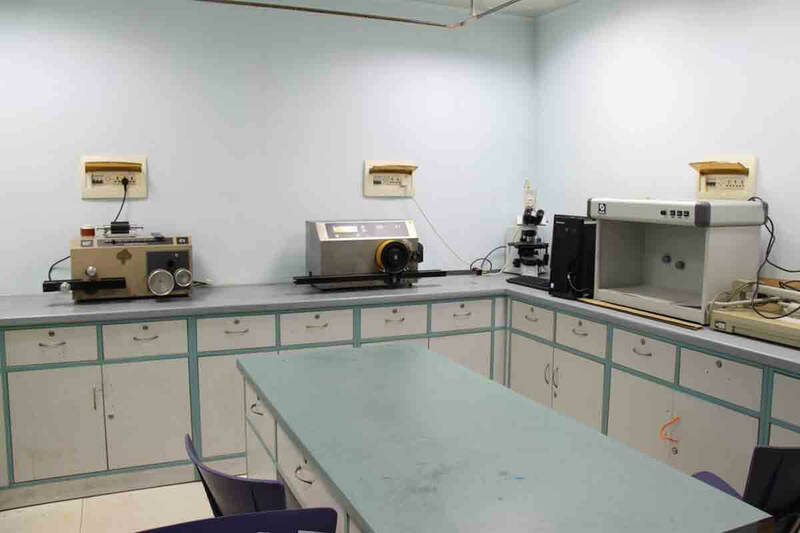 Other areas of our office include a conference room, reception room, and engineering sample room. 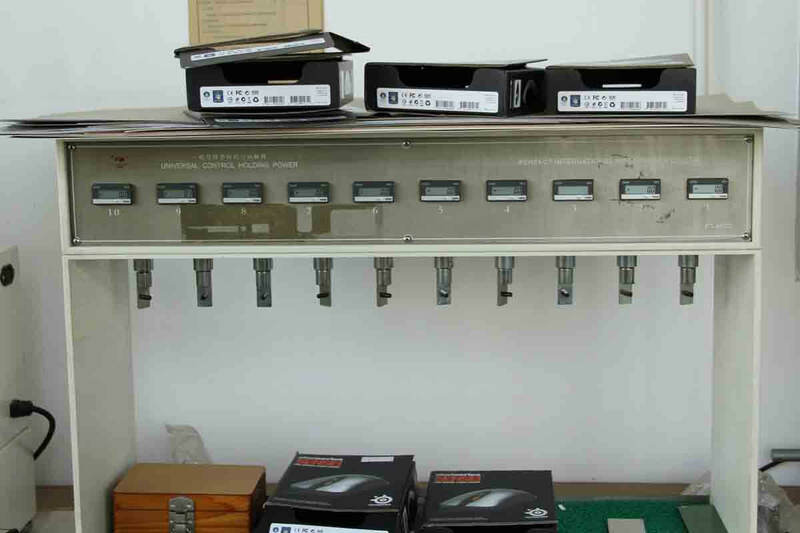 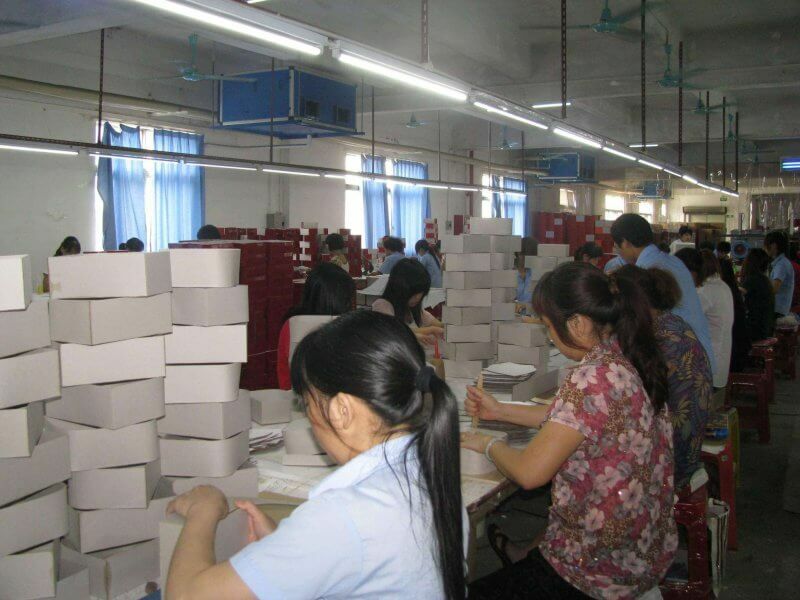 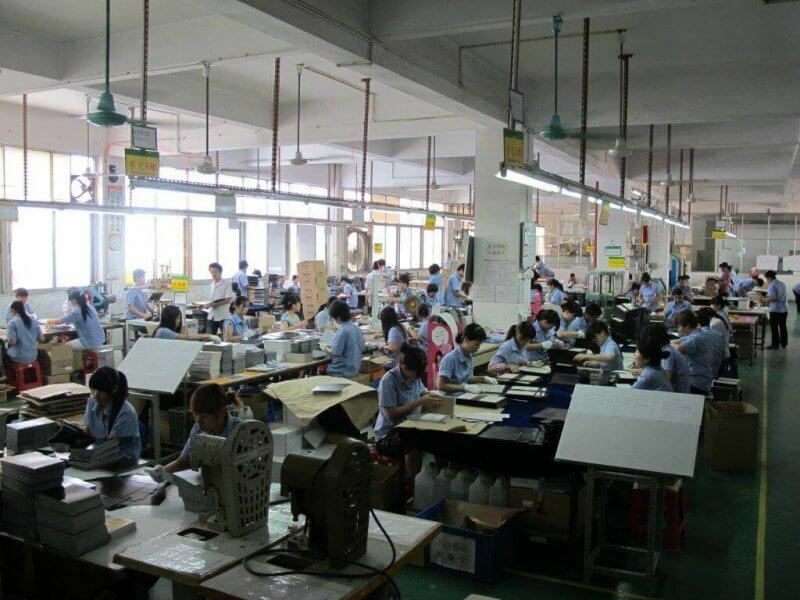 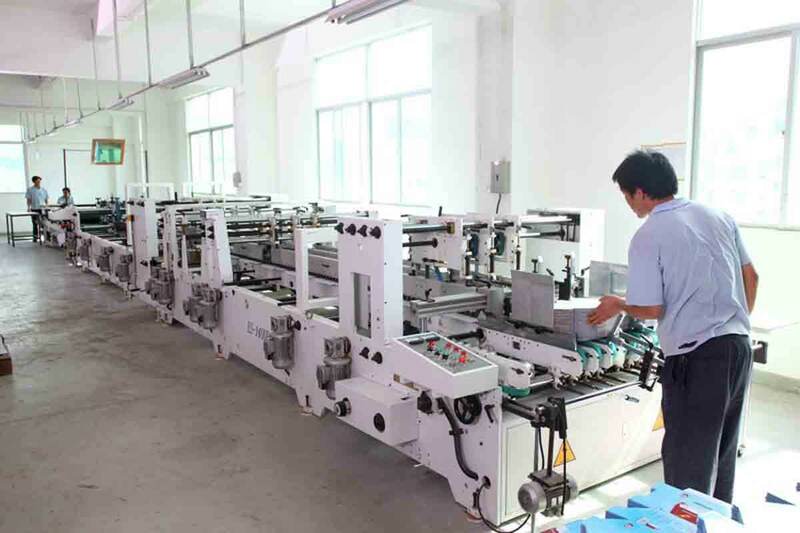 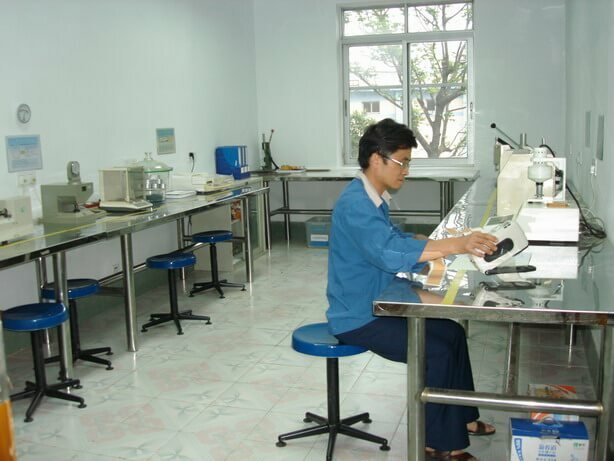 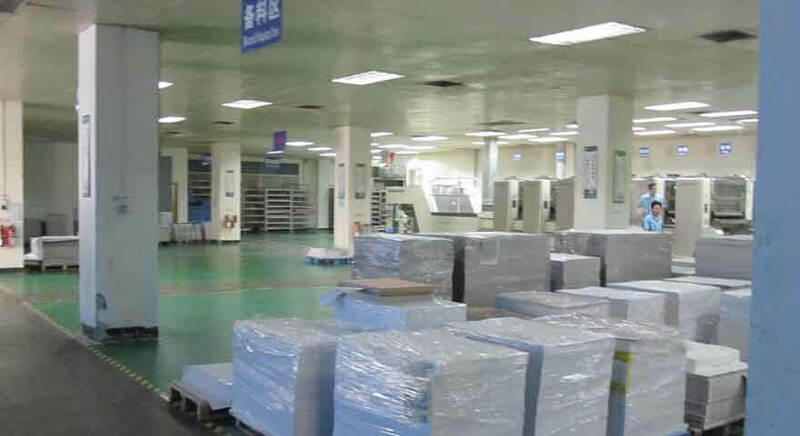 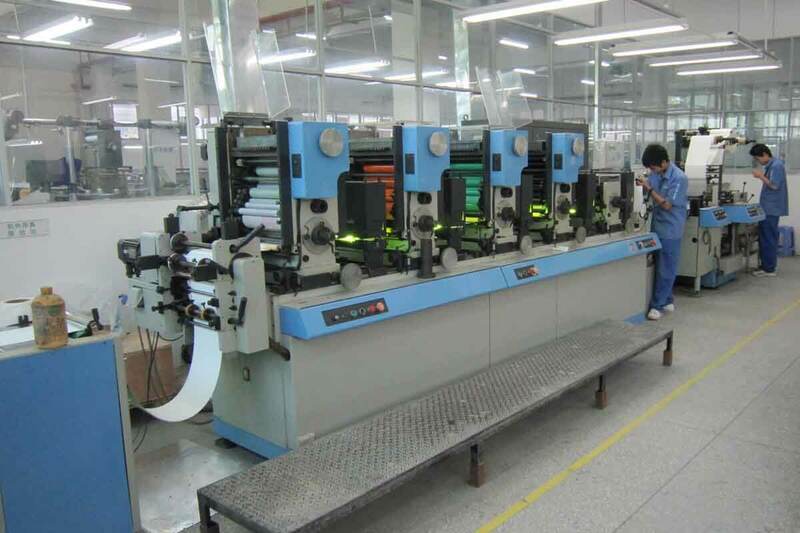 Our sales representatives work in the factory, so they know exactly what is happening with each customer’s production, can update the order status every day, and provide the customer with regular production order reports. 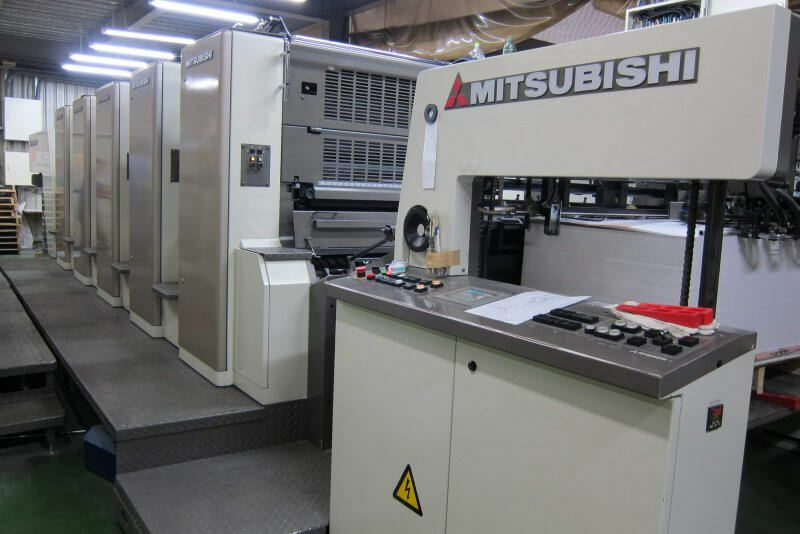 Prepress is the most important step in the printing process. 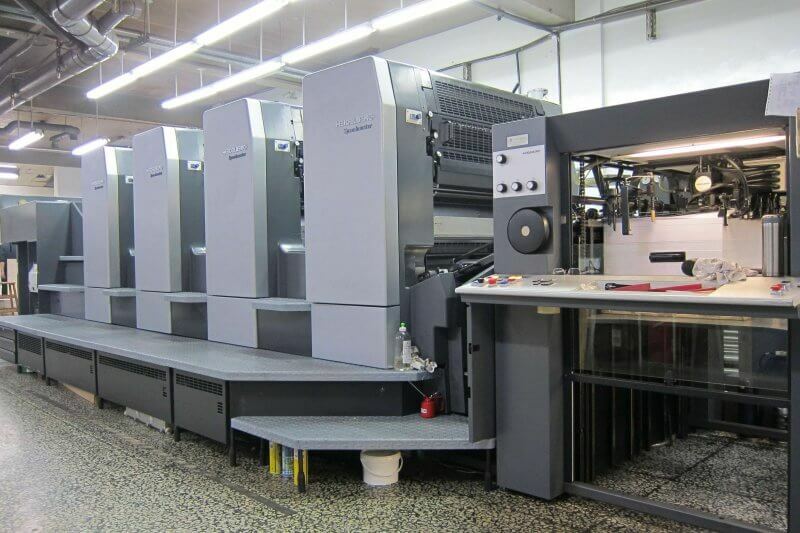 Prepress is the basis for all printing and post-press processes. 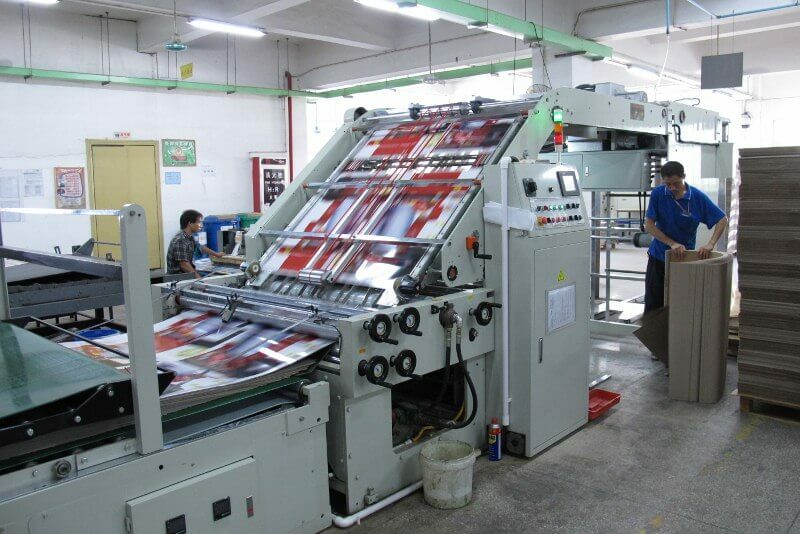 The prepress process including designing, typesetting, proofreading, sampling, and a raw material inspection. 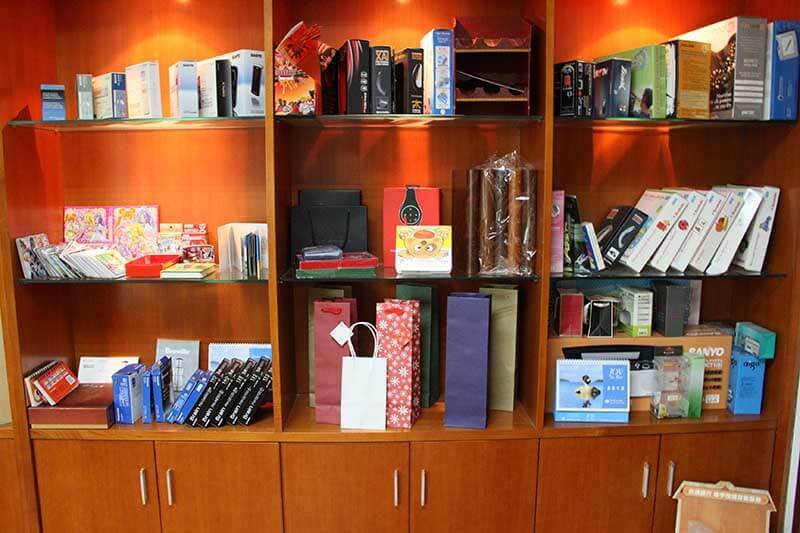 Husing needs to know each customer’s requirement clearly and give feedback to designer in order to ensure the order is correct. We will make a sample for our customers to confirm we have included every detail. Raw material inspection is also important and includes paper ink absorption, bursting strength, smoothness, and moisture content. 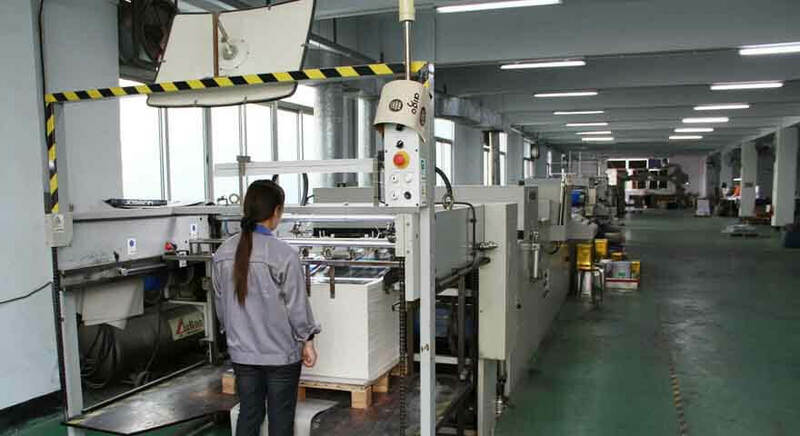 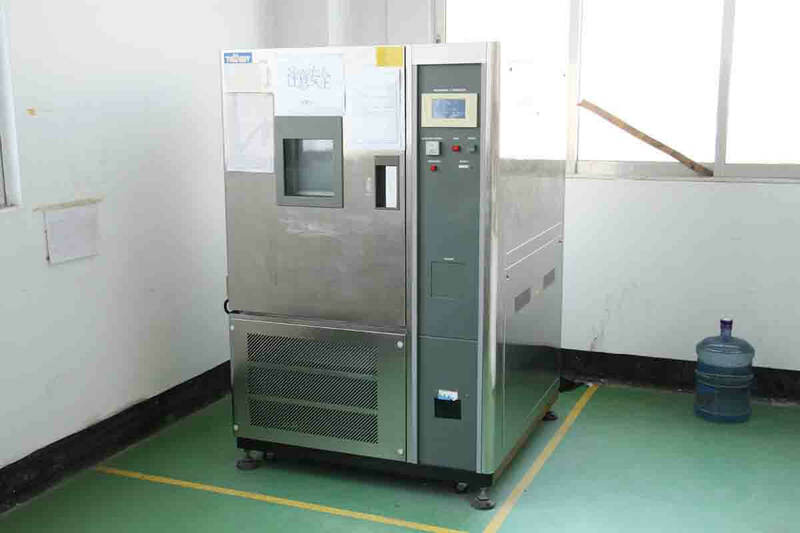 The purpose of the raw material inspection is to grasp the information that plays a guiding role for the post-press process. 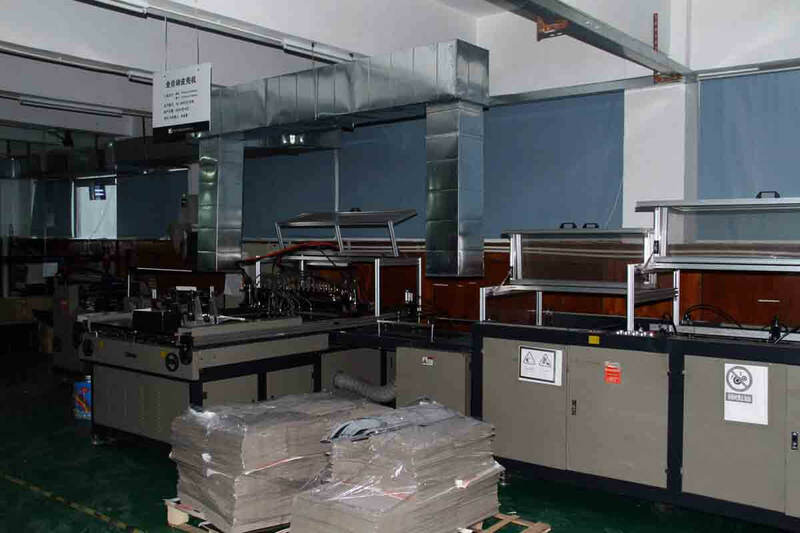 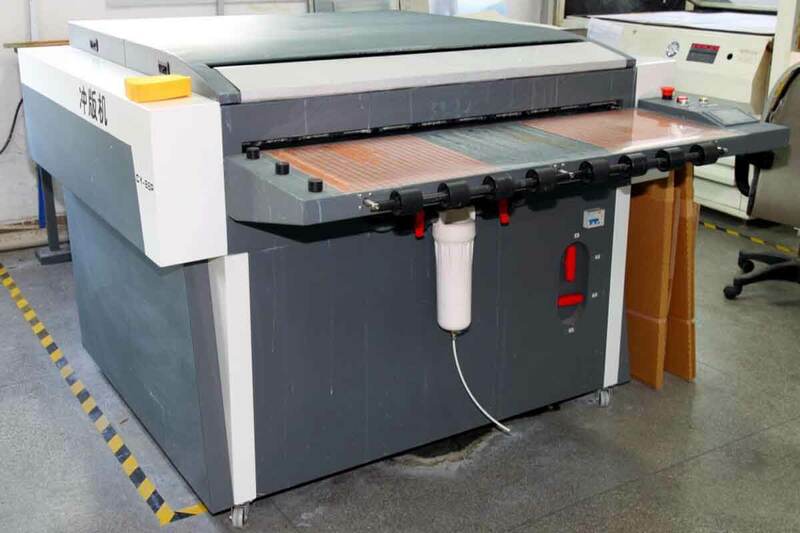 Husing owns the most advanced printing equipment in the industry. 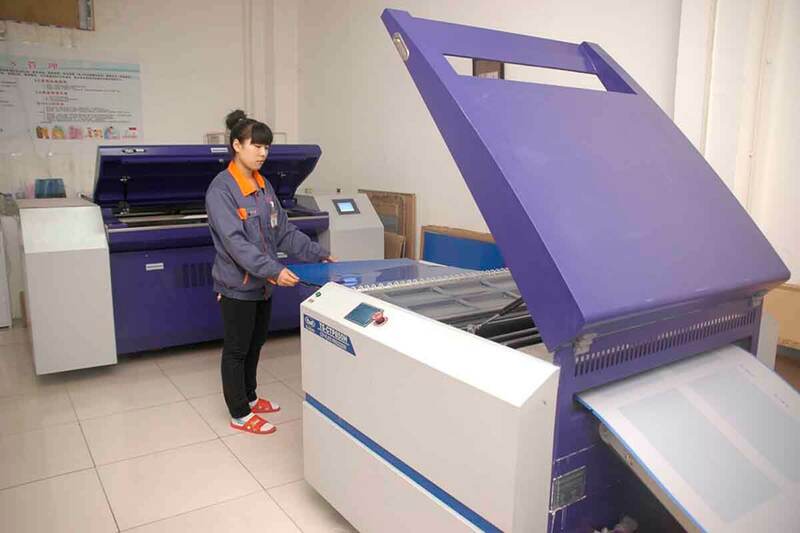 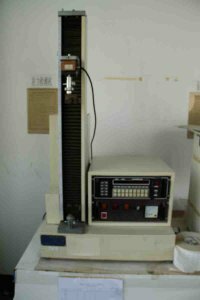 In order to match the color of customer’s original design, Husing uses colorimeter to inspect and adjust the printing machine parameters. 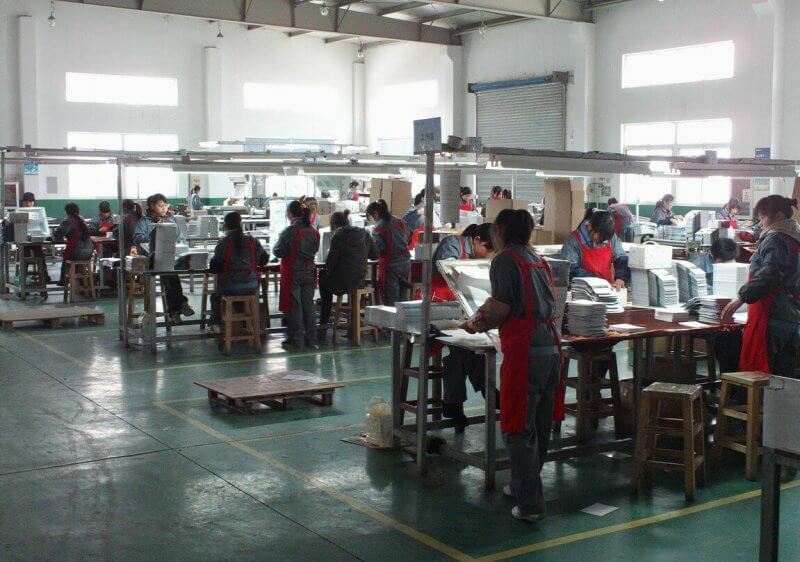 We do this to ensure that every individual piece of an order maintains its color consistency. 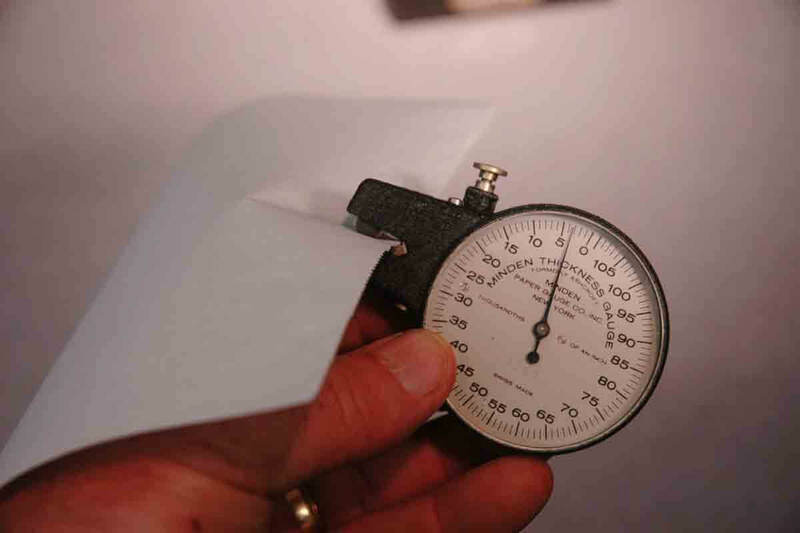 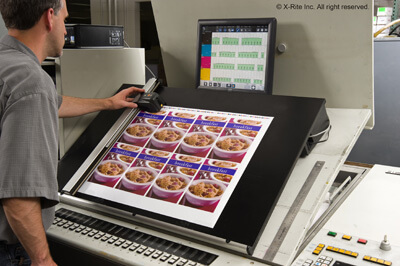 Post-press technology, simply put, is to ensure a certain effect for printing a product. 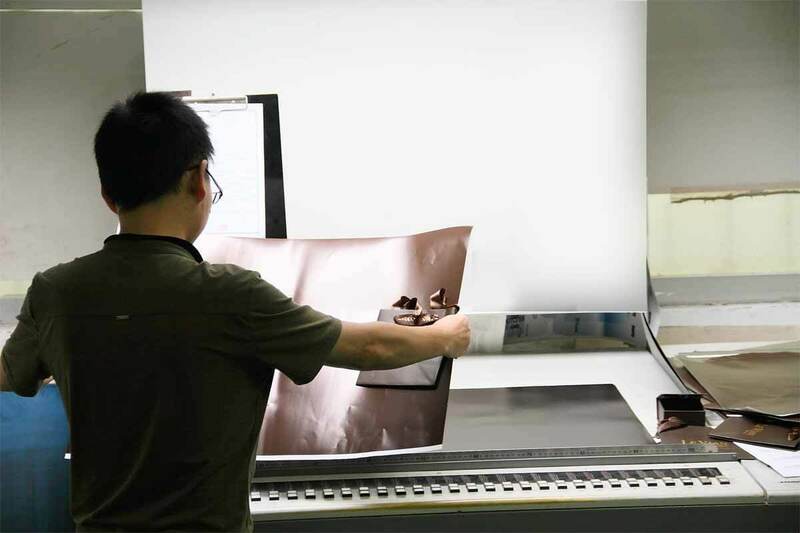 The post-press process is similar to film post production and provides a visual effect for the product. 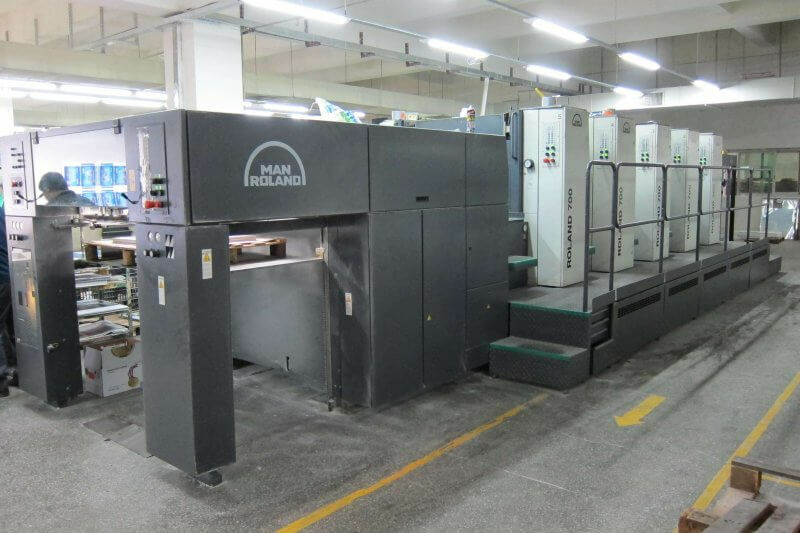 The popular special process is PP lamination, foil stamping, spot UV, varnish, embossing, debossing, glister, rainbow powder, flocking, and more. 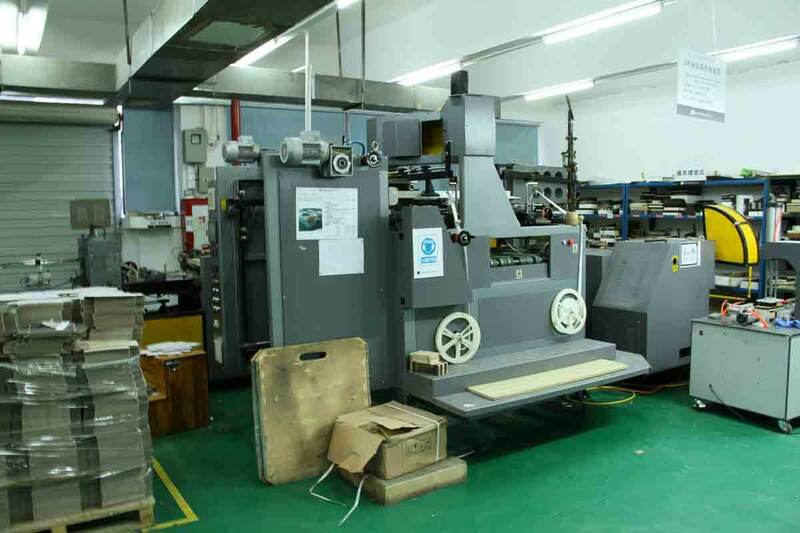 The whole printing process will be finished after the die cutting is completed. 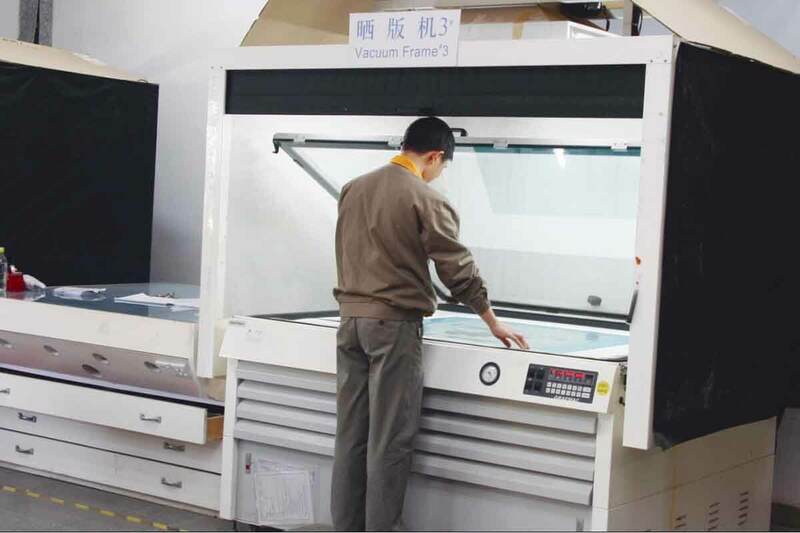 If a customer needs any other special and complicated processes, we might outsource to our partners to ensure the highest quality work. If you want to get a better understanding of the post-press process, please contact us for more information.